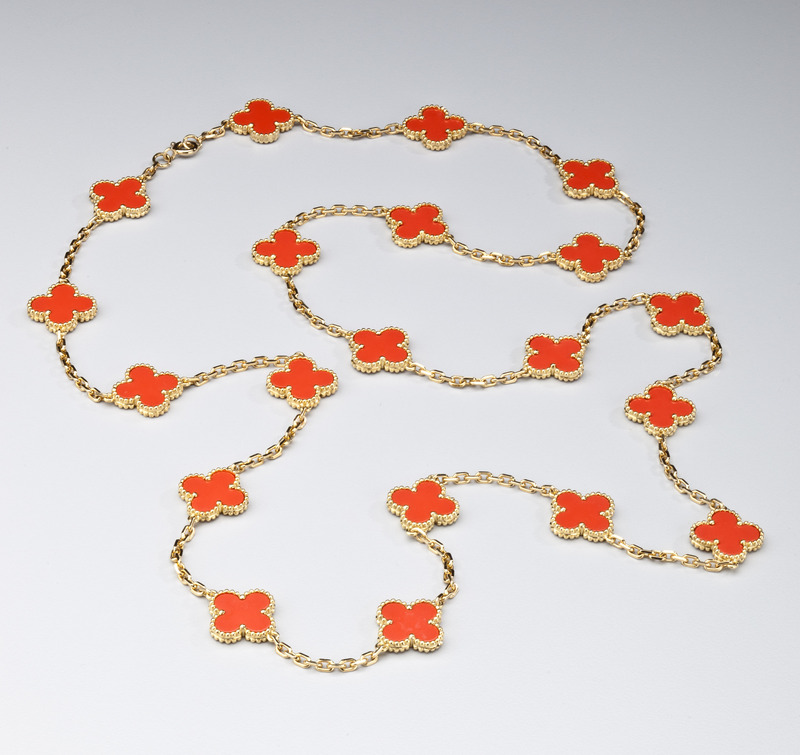 A rare vintage Van Cleef & Arpels gold and coral Alhambra necklace with 20 motifs. Each coral clover is set in a beaded gold bezel. Signed VCA France 18kt 4V.258.304. The clasp is marked 750 with maker's mark; the jump ring has the French assay mark. Weight 44.6 grams. Certificate of authenticity dated May 9, 1989 available on purchase.